Thanksgiving is one of those holidays that most of us don’t think of doing any special decorating for, other than a pretty dinner table. 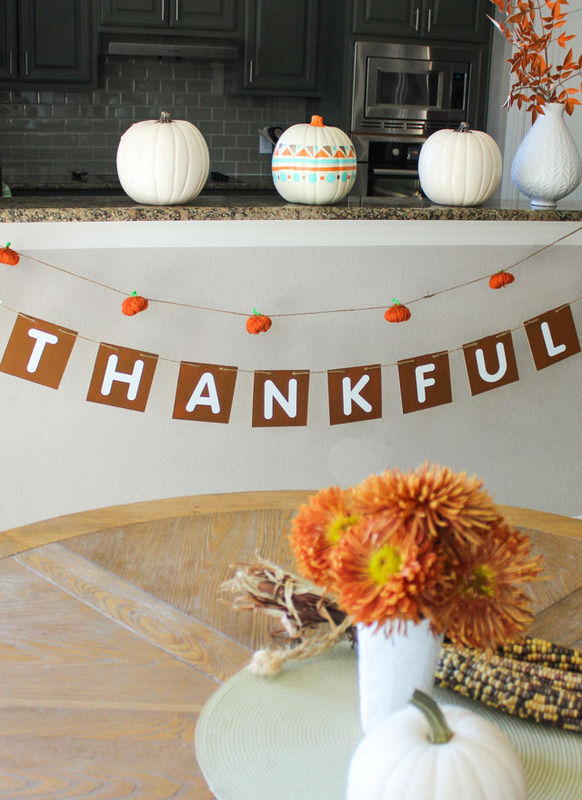 However, it can be fun to add a few festive touches to other areas of your home like this DIY “thankful” banner that I made for Oriental Trading’s Fun365.com site. I tend to focus my Thanksgiving decorations around the kitchen area, since that is where all the action is leading up to the big day! 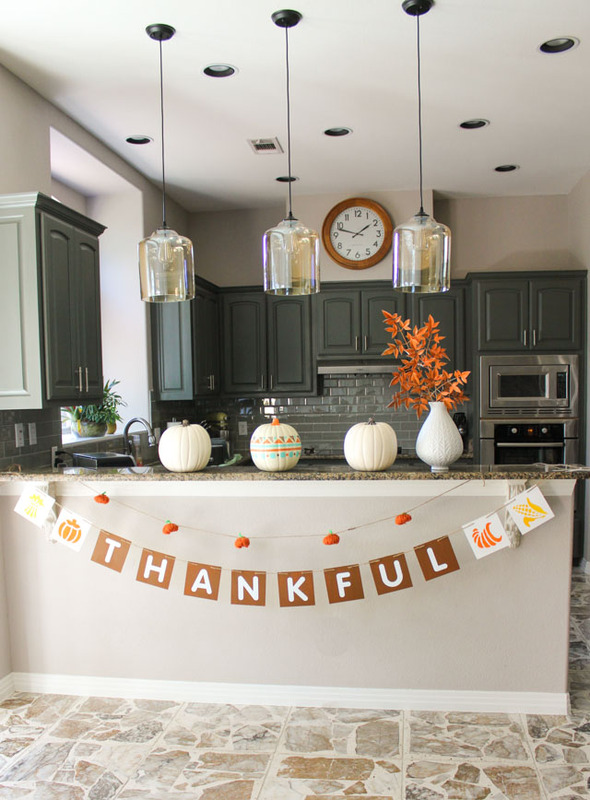 I created this simple wood garland that can be hung in the kitchen or on the wall above your dining table for a festive addition to the Thanksgiving meal. I love crafting with these wood banner squares that come in a pack of 12. I have also made this leafy sun print banner with these before. For Thanksgiving, you could use them to spell any variety of words or sayings. I also added some simple stencils of iconic Thanksgiving shapes like a cornucopia. Get creative making your own version with letter stickers, stencils, and craft paint. The large size of the banner would make it great for a party or classroom backdrop as well! The sturdiness of the wood squares means they’ll stay looking great for many years to come. 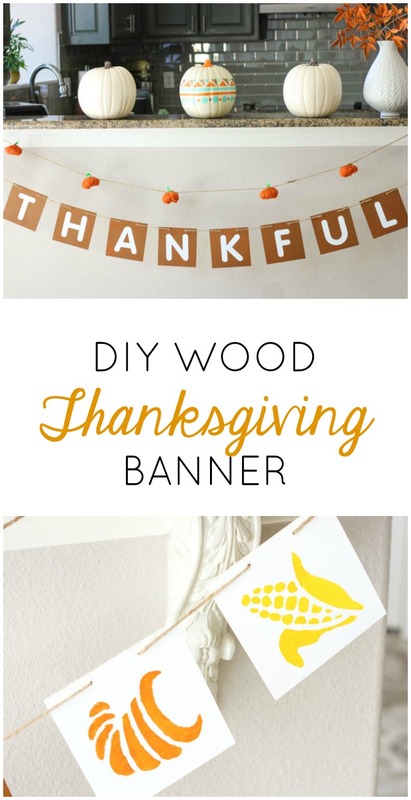 Head to Oriental Trading’s Fun365.com site for the step-by-step thankful banner tutorial and a full list of supplies!